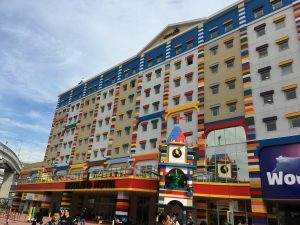 My family of 4 recently visited Legoland Japan Resort in Nagoya. It was about a 4 hour drive from base and approximately Y4000 in tolls each way. We visited to celebrate my son’s 6th birthday and it was perfect for his age. Our 9 year old son also enjoyed the trip. 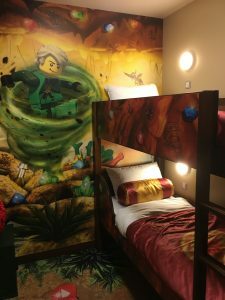 We booked a single overnight package to include a themed room, 2 day entry into Legoland park, 1 dinner, 1 breakfast, and one single entry into SeaLife Nagoya which is also on site. The cost was Y72,600 for everything. 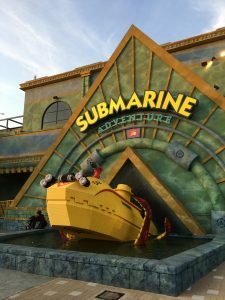 Legoland Japan opened in April 2017 and SeaLife Nagoya opened in April 2018 so everything is new and as clean as you would expect from any Japan park. 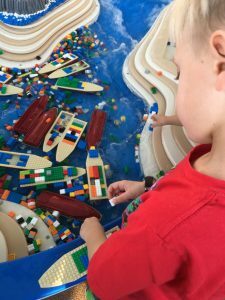 Legoland has 7 different themed lands to include Factory, Bricktopia, Adventure, Knight’s Kingdom, Pirate Shores, Miniland, and Lego City. 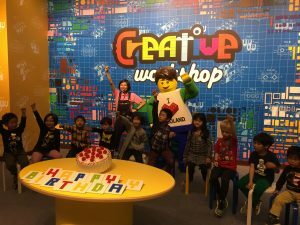 The adults’ favorite was Miniland with Lego displays of iconic places in Japan such as Mt. Fuji, Shibuya Crossing, and Tokyo Station. 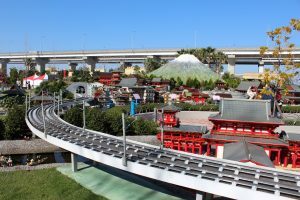 The boys favorite was probably Knight’s Kingdom because that is where the largest roller coaster was located. 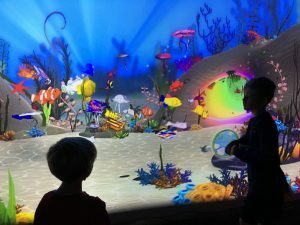 We all really enjoyed the Submarine Adventure ride as it took you underwater with real fish and sharks. The majority of rides are designed for younger kids but my 9 year old had fun with most. There are also multiple Lego building areas throughout the park to take a break from the rides. The park food was decent and not too pricey. They have their own popcorn buckets, and you can choose Salt or Caramel flavors. 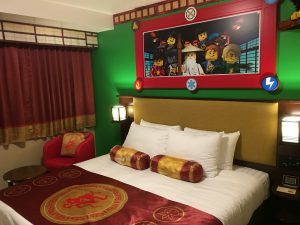 After our first full day at the park we grabbed our bags and checked out our Ninjago themed room. Other themes you could choose were Pirate, Kingdom, Adventure, and Lego Friends. The room we chose had a queen bed and a bunk bed for the kids. The TV on the kids side of the room played all Lego shows and movies, and one station was in English. The hotel restaurant food was buffet style. There was a play area for the kids next to the restaurant as well as a bar. Upon check in, we also signed up for the group birthday party held each night. This was free, and our son received a Lego gift and photo opp with the LegoLand character. It was all in Japanese, but he was able to play along. 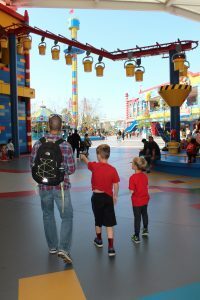 We went Sunday-Monday and found that Sunday was much less busy with short wait times for the rides. Monday was much busier, and we had double to triple the wait time for rides. 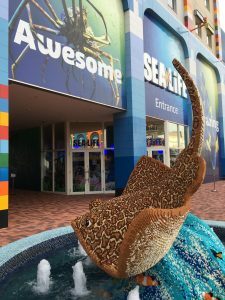 We took a break on Monday from waiting and visited the SeaLife Nagoya Aquarium. 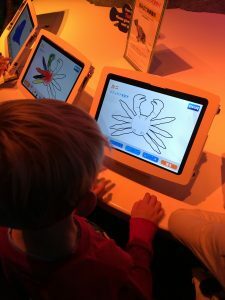 It was small but the boys enjoyed seeing sharks and coloring fish on a computer screen that swam out on a big screen at the end. Parking: There is one parking garage for the park and hotel. Parking fee was not included in overnight stay. We paid Y2500 for an overnight stay.